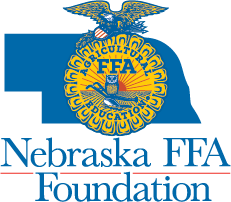 The Nebraska FFA Foundation Tire Auction, hosted by Titan Tire Corporation has been postponed until Thursday, September 11, 2014. Husker Harvest Days show staff cancelled the Wednesday show because of Tuesday’s rains. Extremely muddy conditions made parking areas impasses and all gates to the site will be closed Wednesday. The 2nd Annual Tire Auction will begin at 11:00 a.m. on Thursday at the Titan Tire/Goodyear Farm Tires and Graham Tire Exhibits (Lot 628 on Sixth Street). Event-goers can place bids on a selection of Titan and Goodyear Farm tires for everything from skid steers and backhoes to implements, tractors and combines. Ninety tires will be available and all proceeds support Nebraska FFA. To get a complete list of tires for sale, visit www.neffafoundation.org to download a printable list.